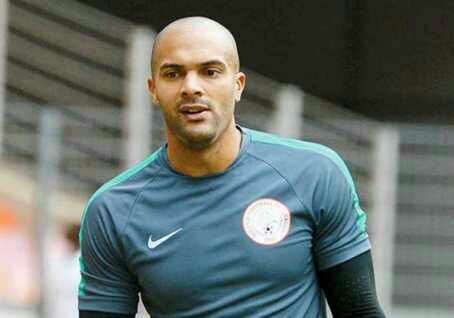 Super Eagles first choice goalkeeper, Carl Ikeme has been ruled out of November 12 2018 FIFA World Cup qualifier against the Desert Foxes of Algeria at the Godswil Akpabio International Stadium in Uyo. The Wolverhampton Wanderers FC goalie was stretched off at half-time after sustaining a hip injury in last weekend’s Championship clash against Blackburn Rovers. It is now confirmed by Wolves pshysio that the 30-year-old goalkeeper will miss key games for theclub in the coming weeks. However with just 10 days to the crucial qualifier against the North African opponent, Nigeria is left with the option to make quick adjustment in goal. Super Eagles technical adviser, Gernot Rohr invited three goalkeepers on the 24-man list released last week; it is now left for the German tactician to decide between Ikechukwu Ezenwa, Dele Alampasu or the recently invited South Africa based Daniel Akyeyi.